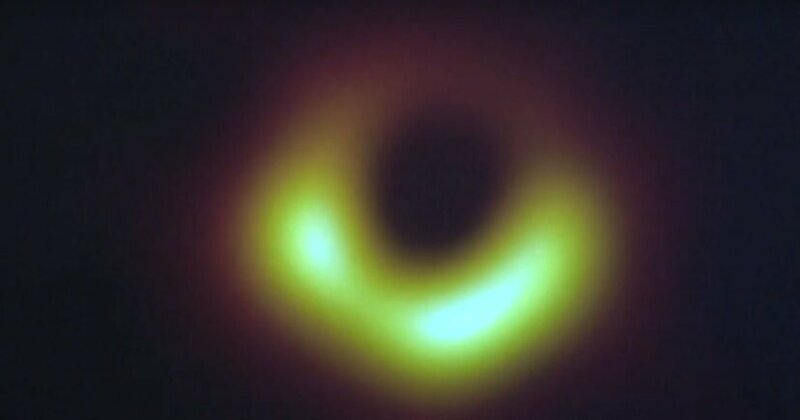 By now you’ve likely heard the news that a group of scientists – led by Dr. Katie Bouman – have unveiled the first ever close up pictures of a black hole. This is huge news, obviously. I can’t even really begin to comprehend the ramifications of this massive scientific breakthrough, or how it will shape our understanding of the universe and our place in it for generations to come. Take a look at it below, and be dazzled by its unknowable majesty. 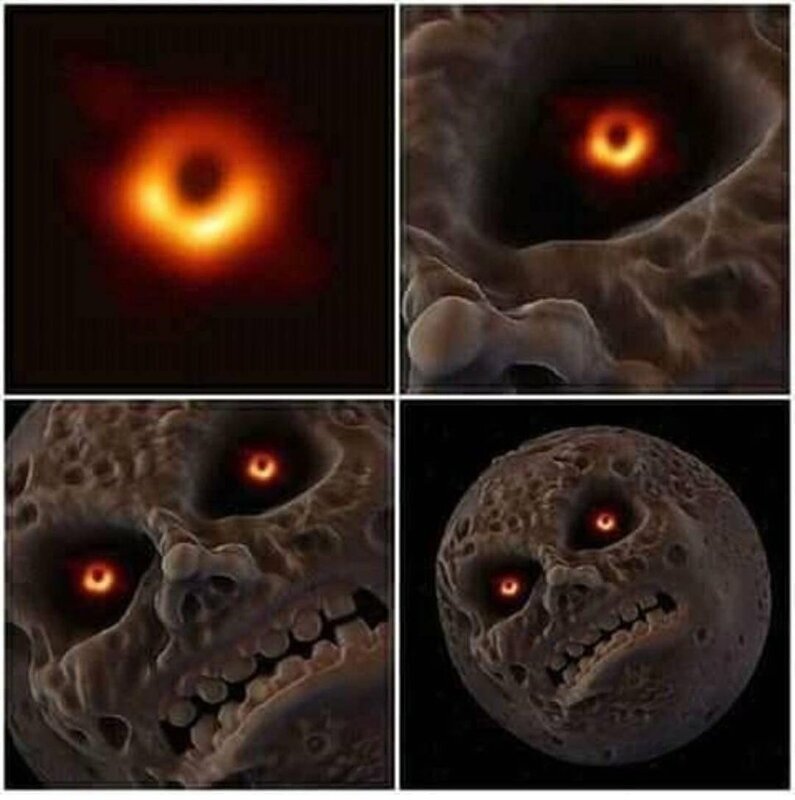 What I can understand (and therefore truly appreciate) is the sheer number of incredible memes that the black hole has inspired from the gaming community. Don’t get me wrong; I am genuinely fascinated by the breakthrough and can’t wait to see where it takes us, but I also appreciate it a gamer’s uncanny ability to take something like this and bring it back to video games. Let’s take a look at some examples, shall we? Starting with this terrifying little number from Mat145 on Reddit which posits that the black hole is simply the arrival of something far more sinister. If you think a giant moon wiping out the universe is scary though, wait until you see what Mark Doherty discovered on Twitter. Truly, there is nothing more fearsome than the Red Ring of Death. Plenty of comparisons are also being drawn to From Software’s excellent Dark Souls series, too. 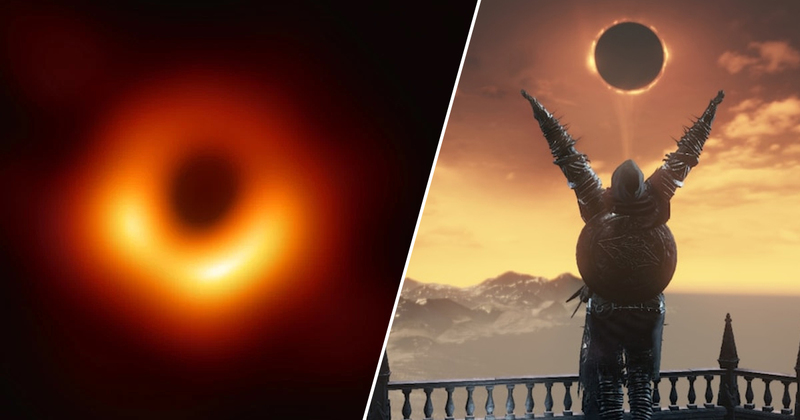 Many gamers are convinced the black hole is actually a darksign, which wouldn’t be good news for anyone. Then again, maybe this whole thing has just been a pre-E3 marketing ploy for Dark Souls 4. Perhaps Mass Effect’s Reapers are not only real, but on their way to destroy us all? A more lighthearted take from Nibel on Twitter simply suggests that we’ve all just been invited to join the Super Smash Bros roster. I’d be up for that. Supper Mario Broth on Twitter pointed out to everyone that the excellent Super Mario Galaxy actually showed us all what a black hole looked like way back in 2007, and we didn’t listen. Proof that you should always pay attention to Nintendo. Finally, I have to give a shout out to this incredible effort from InfinityXTxmmy on Reddit. 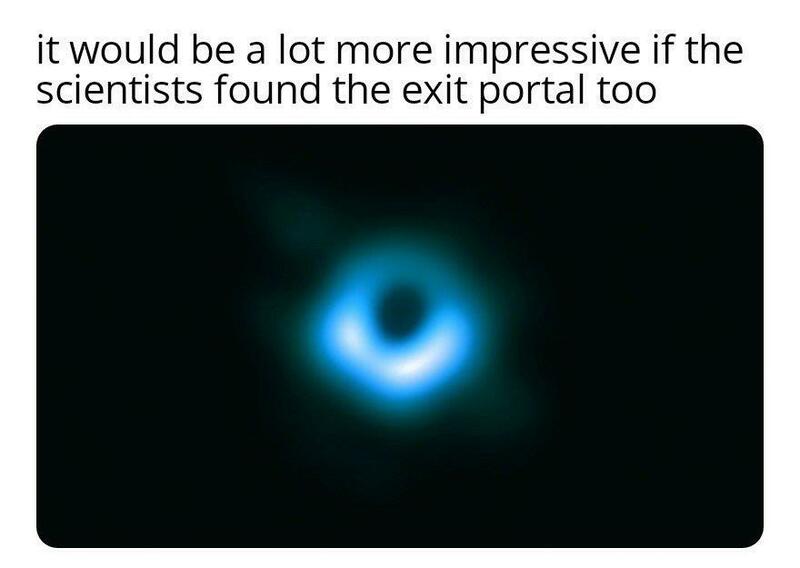 I’m always down for a Portal reference. The moral of the story here is that gamers can take one of the most important scientific developments of the century and make it completely silly. Bless them for that.